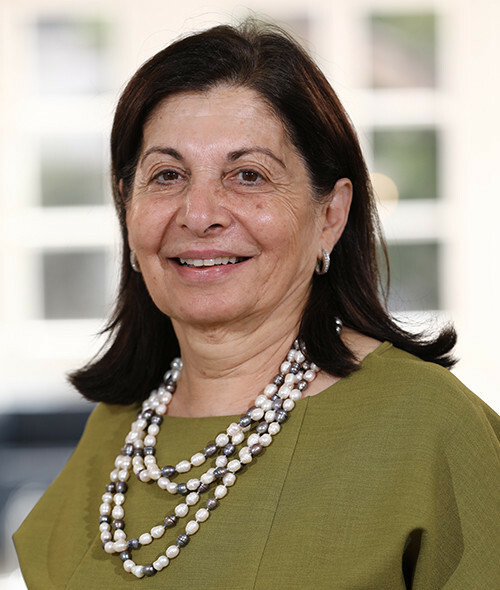 Professor Noha Irani Hakime is a Professor of Clinical Laboratory Medicine at the Faculty of Medicine in the University of Balamand. Professor Hakime is a member of the International Society of Blood Transfusion, the American Society of Clinical Microbiology, the European Society of Clinical Microbiology and Infectious Disease, the Lebanese Society of Clinical Pathologist, the Lebanese Cancer Society, and the Société Française de Biologie Clinique. In addition to her humbling memberships and contributions, she holds a medical degree with a specialization in Medical Biology and Blood Transfusion from Saint Joseph University, and an MA in Human Biology from UER de médecine Broussais-Hôtel Dieu in Paris. She also holds a certificate in General Immunity from the Université Pierre et Marie Curie in Paris.